On an early spring day in 2011, my family drove out to the Long Island National Cemetery in Farmingdale to view Babe’s gravesite and I left with what I now know is a terribly inadequate photo. So as I started doing a little research for my latest series of blog posts, I went on what I thought would be a wild goose chase: Has anyone else posted a picture of Babe’s grave marker? I came across FindaGrave.com, where Marvin and Samme Templin had created a profile page for Babe and someone (we don’t know who) posted a photo of the headstone to further enhance the profile. 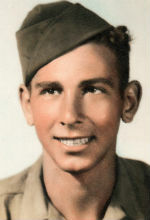 FindaGrave.com has been in the news in the past. I found stories about the site on National Public Radio (from 2010); on the Philadelphia Daily News/Inquirer website from 2016; and on the BBC site from just a few months ago. The Salt Lake Tribune wrote a short piece about FindaGrave in 2013 after it was acquired by Ancestry.com. The site is not without controversy. There are a number of people who have written unflattering pieces about how the site deals with privacy issues and how it responds to complaints. The BBB has not been kind in its rankings of the site in the past, though Ancestry has said it is committed to improving any issues in that area. I was just happy to have a chance to see the profile page for Babe, the nice photo of his grave marker, and to have a great email exchange with Samme Templin. She said they’ll spend time going through cemeteries collecting information, creating profiles and adding photos of grave stones to existing FindaGrave profiles. With the beautiful cemetery we have across the street from us, I’ve considered getting involved with a little tromping. You’ve inspired me to look back into that. I can’t make the commitment she and her husband have made, but I’d be honored to help people connect with their families with a little tromping. I love your posts, Kurt. Thank you. Ya know, I keep forgetting about that cemetery you have there. I bet it’s a fascinating place. There are a number of cemetery tours around here. Would be interesting.